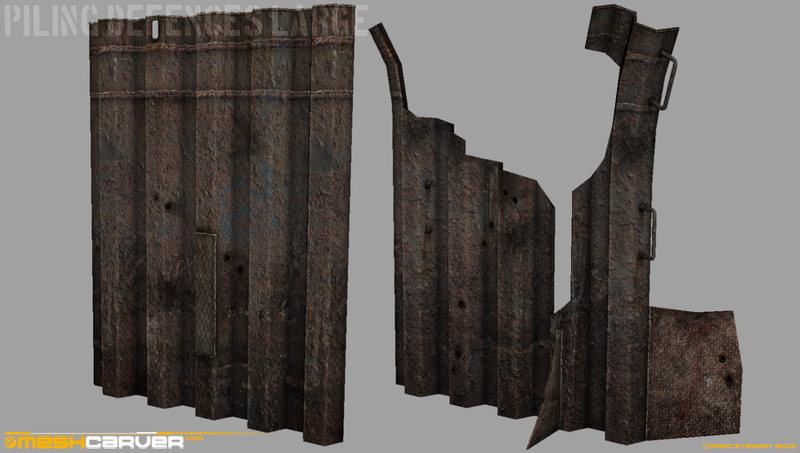 Another update here- these ones are old rusty metal pilings that have been adapted by the Stalkers/Bandits over time to be a form of defensive shielding. 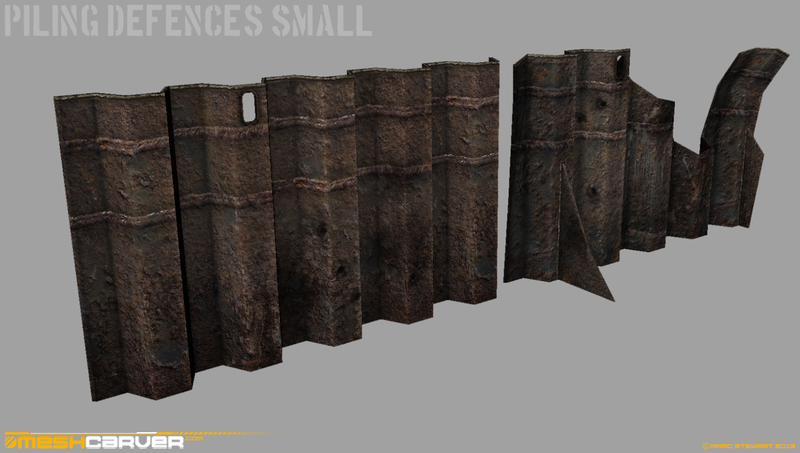 For scale ref, the small ones are 90 cms high, so it will also be possible for the player to "step" or vault over them too, and the large ones are 2 meters high. That should give you an idea of the size compared to a human. I've added little bracing sheets of metal around the bases, so it looks like the Stalkers have welded extra supports onto the front and sides, but I didn't want to push this too much, like loads of spikes and chains etc, as I don't want it to go too Mad Max Beyond Thunderdome..! Also added are handles that Stalkers have welded onto them for ease of placement/carrying (It can also help break up the silhouette, and makes it more interesting visually). It's difficult to resist the urge to add loads of little touches like that, but I think it'll benefit in the long run, seeing these objects ingame again and again- it's best to try to keep them almost generic.